Lana Kane is ISIS's top female agent. Lana is very talented with weapons and all kinds of spy gadgets, but she constantly expresses her irritatation because she is out done by Archer. She also is regularly peeved because Archer's mother and director of ISIS seems to favor Archer. 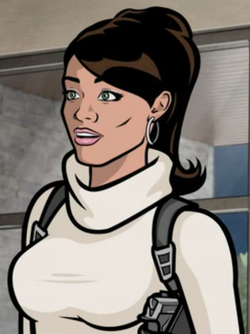 She has been the love interest of both Archer and Cyril, so it creates a hilarious tension between the entire team.